Last post, I was talking about layered mantelscapes and mentioned some of the things I hoped to include on our new mantel when we move. 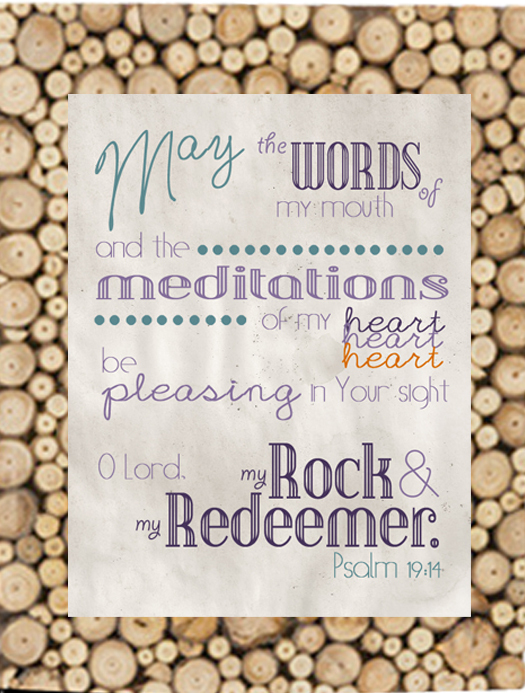 One thing I want to include is a framed graphic of one of my favorite Bible verses, Psalm 19:14. So today I created one in Photoshop to go with the projected color scheme in the space, and I’ve made it free for you to access for yourself! As far as frames go, I’m not sure what to do. I was originally thinking an aged gold frame, but after playing in Photoshop I’m not sure it works with the colors in the print. The direction we are going for the entire house is modern with rustic natural elements, so now I’m thinking something ultra textural, like rope or rough wood…or these cool wood rounds. Here are some Photoshop mock-ups. The images of the frames are not good quality since I just copy and pasted from Google images, but it gives the general idea. 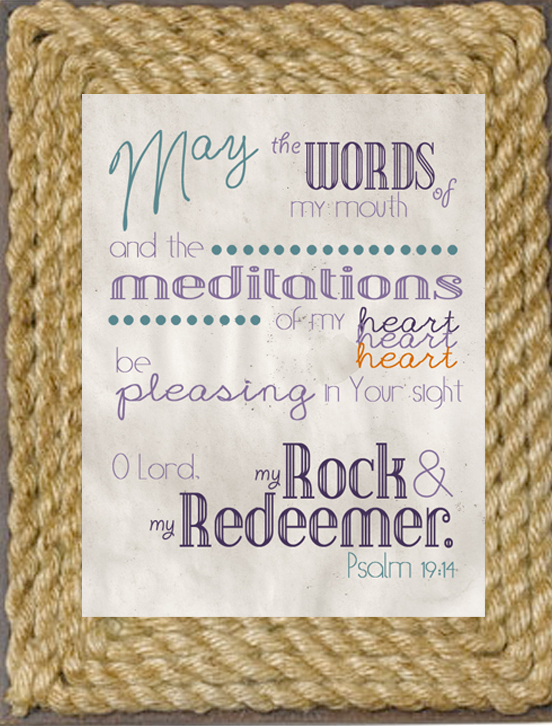 Do you have a favorite verse or quote you’d like made into art? Contact me and we can make something happen! Click here to send me a message! **UPDATE! *** Here’s another version of the same verse! Click to download. Linking up here, here, here, and here. It’s SO cute and creative!!! I am so impressed with how you come up with this stuff ! 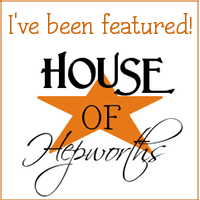 Very lovely printable – thanks for sharing with us! Love these!! I’m going to print them both and find a place for them in my house! Oh my goodness I LOVE these! Thanks for sharing at It’s Overflowing!